The Yonex SHT Soft men’s tennis shoes are designed for use on all court surfaces and have a comfortable and cushioning E.V.A. midsole. The Power Cushion helps absorb impacts and use the energy to smoothen transitions for more flowing and easier movement. Quicker footwork is encouraged by the round sole design, and the Quattro Fit technology optimises the fit so you get the best balance of grip and power transfer when accelerating or stopping. For good comfort and performance on court, the Yonex SHT Soft men’s tennis trainers are a solid choice. 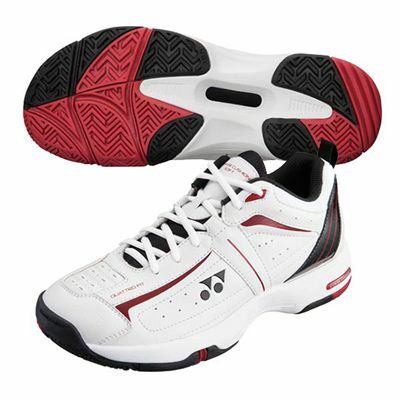 for submitting product review about Yonex SHT Soft Mens Tennis Shoes.